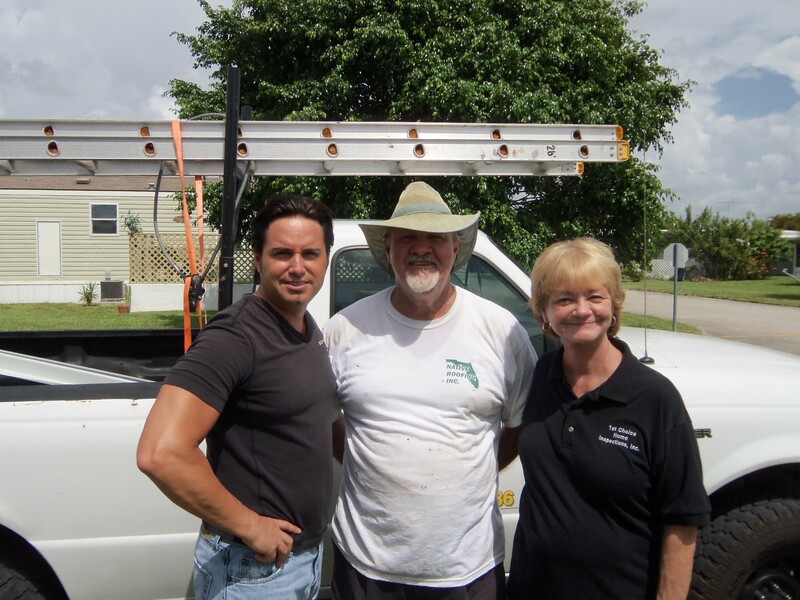 We are a family-owned and operated business since 1992 serving Broward, Palm Beach and Miami-Dade Counties. Jerry Butler is the principal and chief inspector and is fully licensed and insured (HI#3449). He has performed thousands of inspections on residential properties and commercial buildings. His mom, Eileen, runs the office. She has been answering the phones and scheduling inspections for 20 years and was previously a real estate agent for 30 years, thus, she has a vast knowledge and understanding of the real estate and inspection business. You won't get an answering machine when you call 1st Choice. We answer the phone from 8:00am to 5:00pm Monday thru Friday and 8:00am to 1:00pm on Saturday. Same day and weekend inspections are also available and you will always receive your report within 24 hours of the inspection—complete with repair estimates and replacement costs, plus photos. We hope you make our company your 1st Choice for inspections when thinking of buying a home. See below for a complete listing of the areas we service. We promise you, our client, to take time inspecting your home, and to utilize our experience to your advantage and to provide you with a report that you can understand. Buying a home is one of the largest investments that a person makes in their lifetime. We take that very seriously, and want to help you protect your investment. Our promise to our realtor colleagues is to provide a professional level of service to you and to help your clients feel comfortable with the inspection and closing process. Our goal is to make YOUR job EASIER. Our office manager was a real estate agent for 30 years and can help make your clients feel comfortable with the process. We are committed to providing you the best in Home Inspection Services and help you to understand the process through consultation and user-friendly reporting. Our inspectors are certified and fully insured. We are able to provide same-day and weekend service. Homebuyers & Existing Homeowners: Why is a Home Inspection so Important? Realtor Colleagues: Why Offer Our Services? For a complete listing of cities, click on the link below then review the cities in the respective counties.